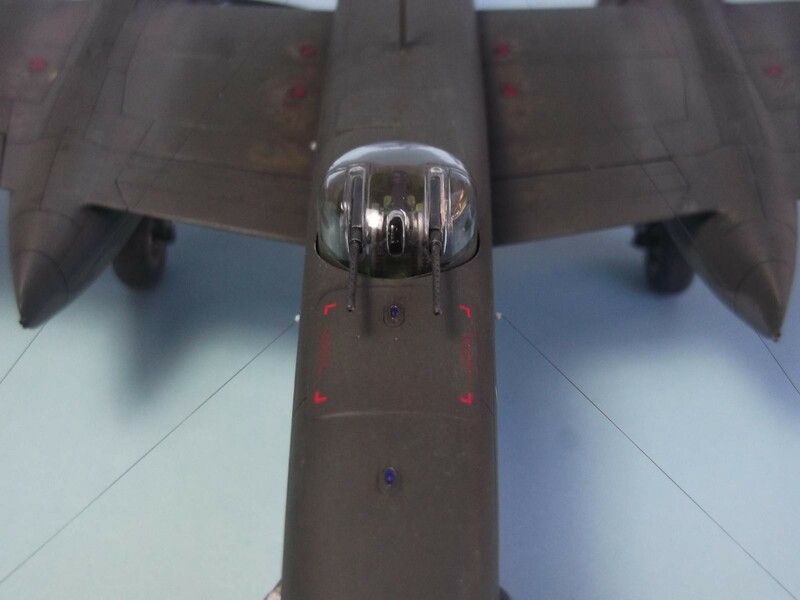 Resin gun pods and gun barrels from Quickboost, the side blast shields and front guns exit were done with styrene plastic sheet. Decals from an old Albatros decal set but I retouched the Nose Art decal and painted the falcon´s head and national insignias. 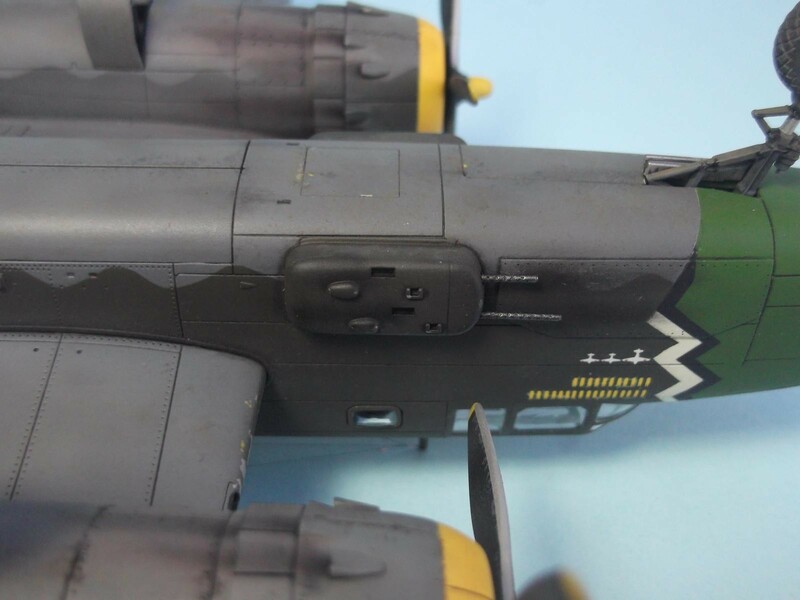 PE seatbelts and lamp bases from Eduard. 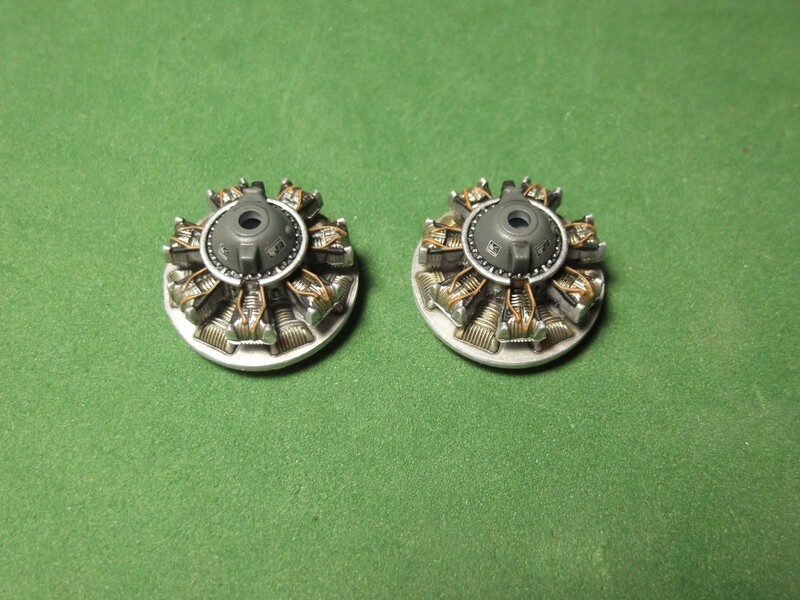 The kit provides the cover piece when lower turret is not installed. 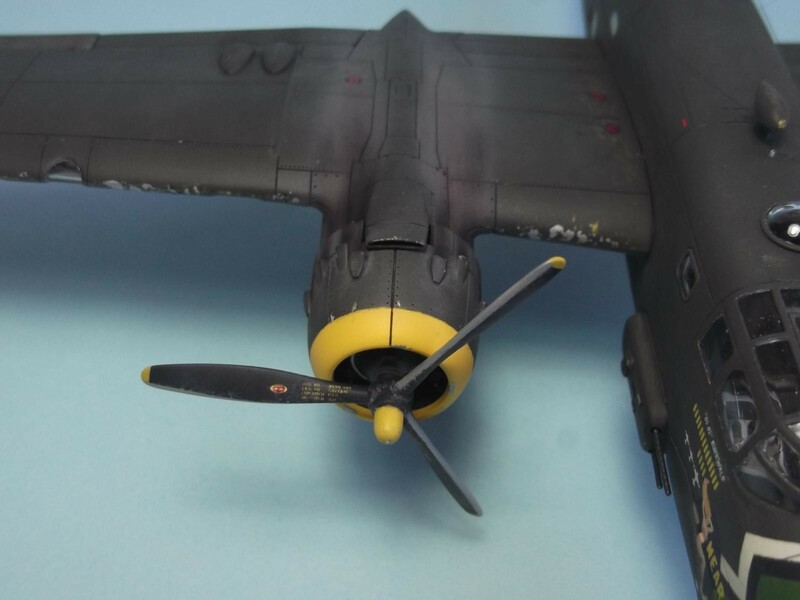 I used the kit´s included guns to provide the rear weapons and improved details overall. 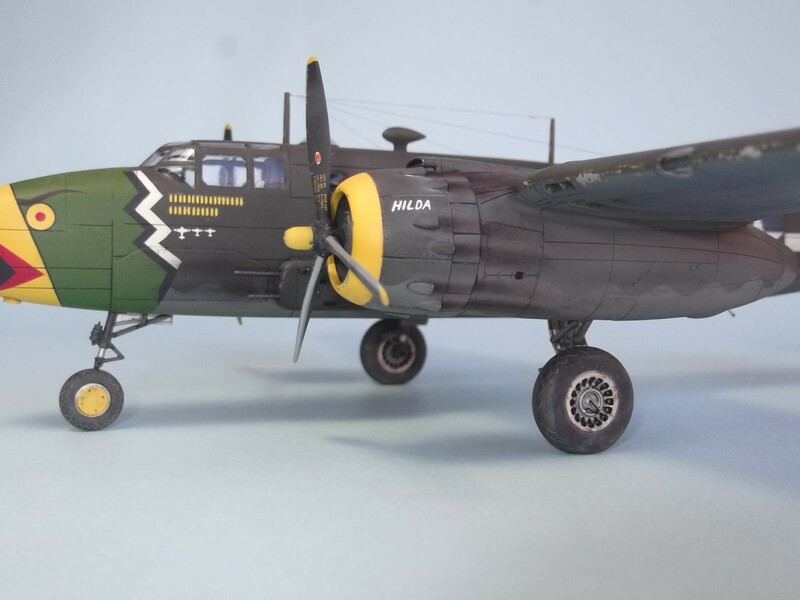 28 responses to Airfix 1/72 B-25D Mitchell, Strafer conversion. 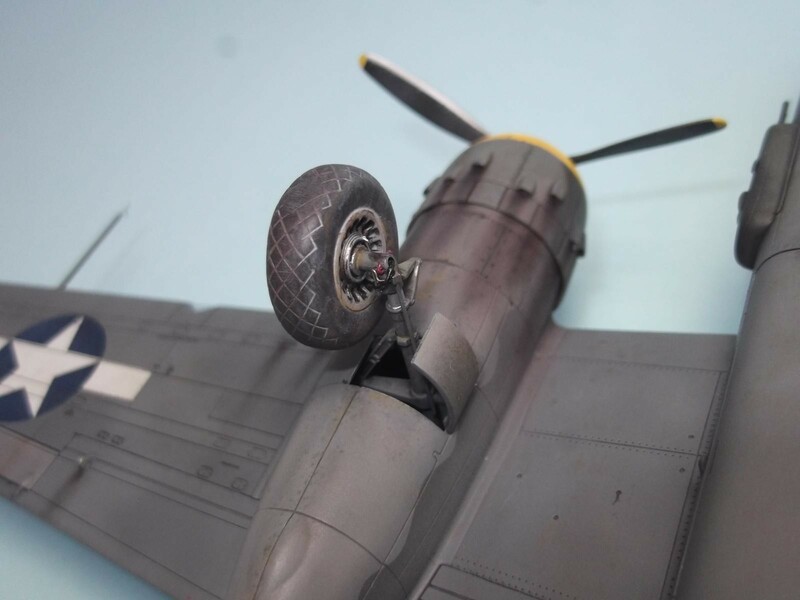 Nicely done, sir….I’d have guessed 48th scale. 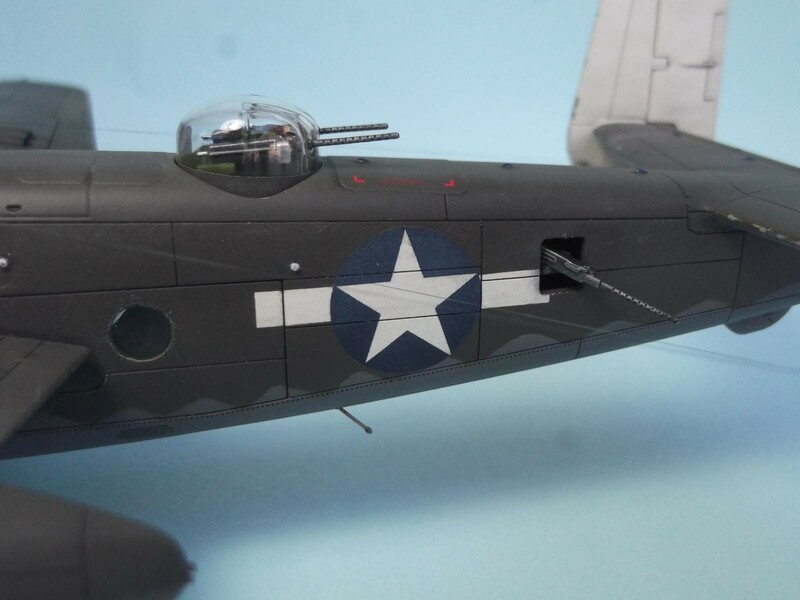 Very nicely done, and like Craig I initially thought 1/48. She looks great. That is gorgeous! 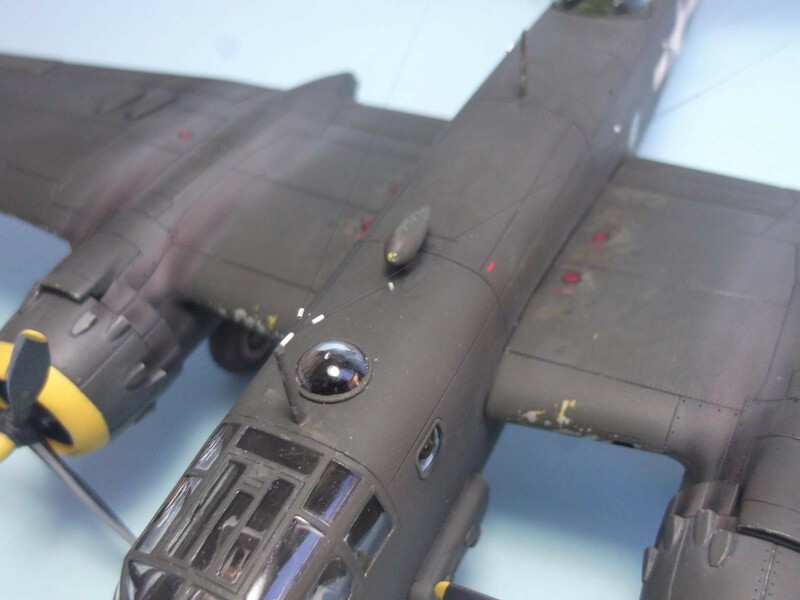 Your painting & weatherings are superb. 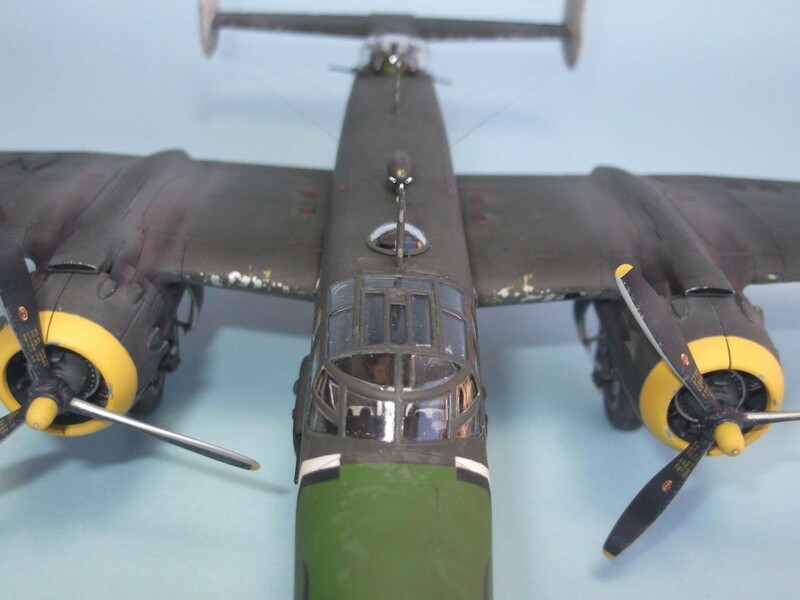 I’d have thought it was in larger 1/48th scale as well. Great job, Ruben! This is just stunning. One of the lead ships on the first Rabaul Mission in October 1943. Every other unit heard the recall and turned back. 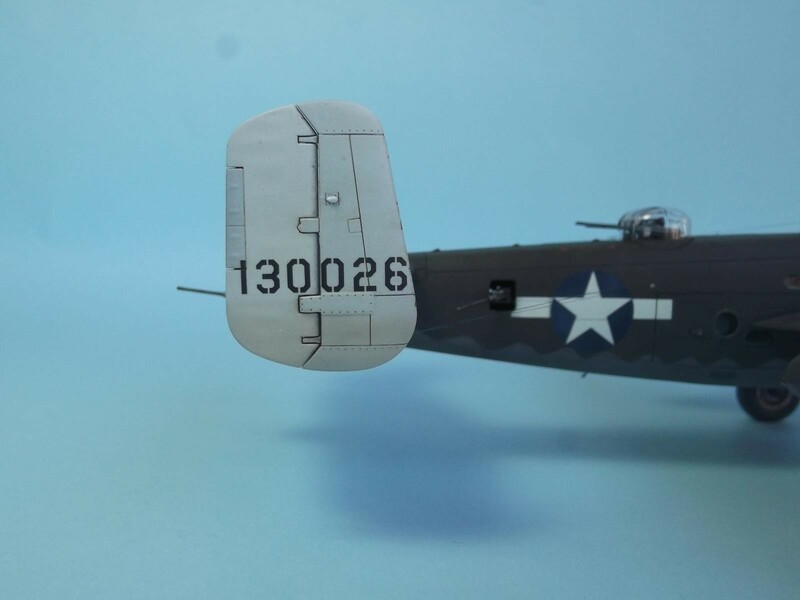 the 345th flew through the squall line in the Bismarck Sea and survived, came out the other side and made the attack on Rabaul, which was devastating. The group commander was put up on charges on return for not heeding the recall. By the time he got to Sydney to have the riot act read to him, all the newspapers were touting MacArthur’s daring raid. So he got a Silver Star and the 345th got their first Presidential Unit Citation, instead of being read out. 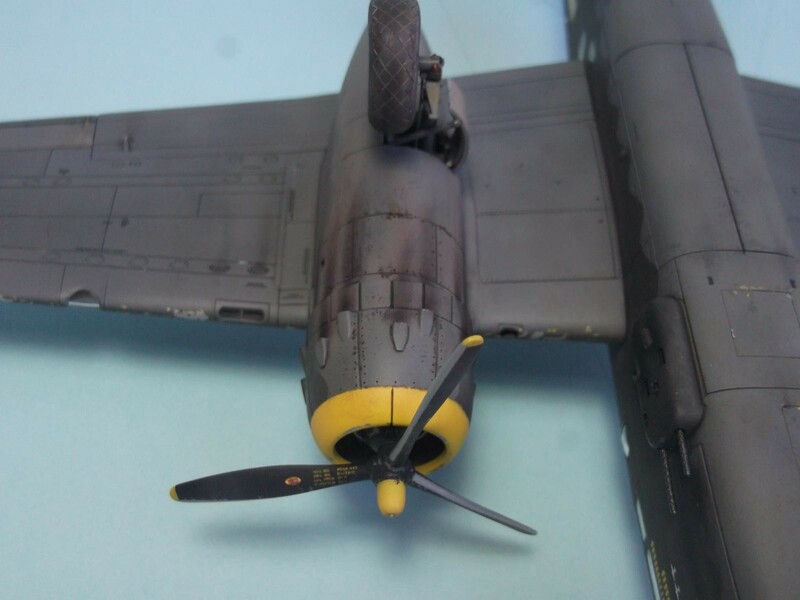 Fantastic work on this model. 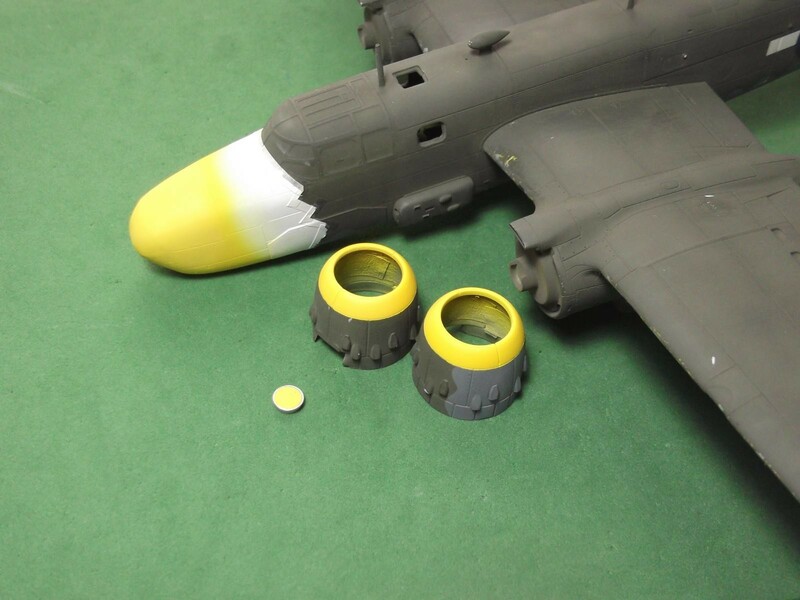 As everyone else said, hard to believe it’s 1/72. 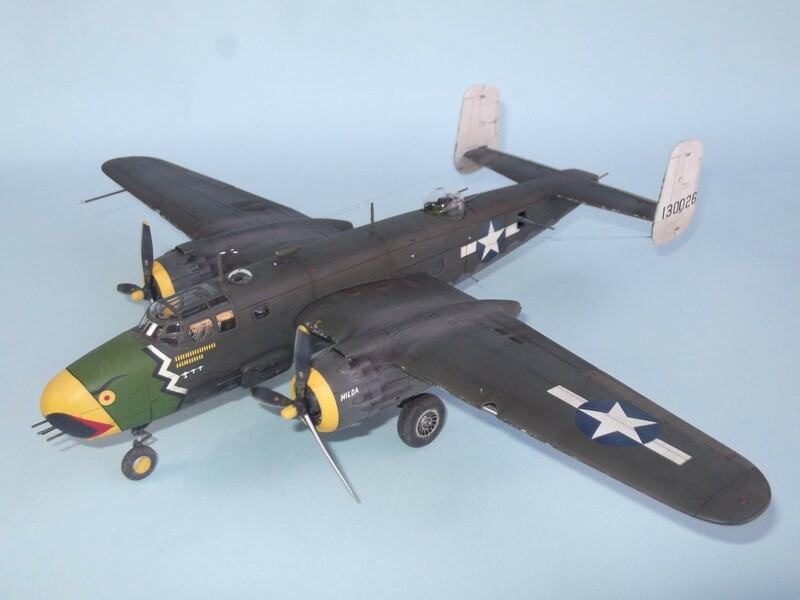 Flawlessly built and presented, your B-25 has all the marks of a show stopper. 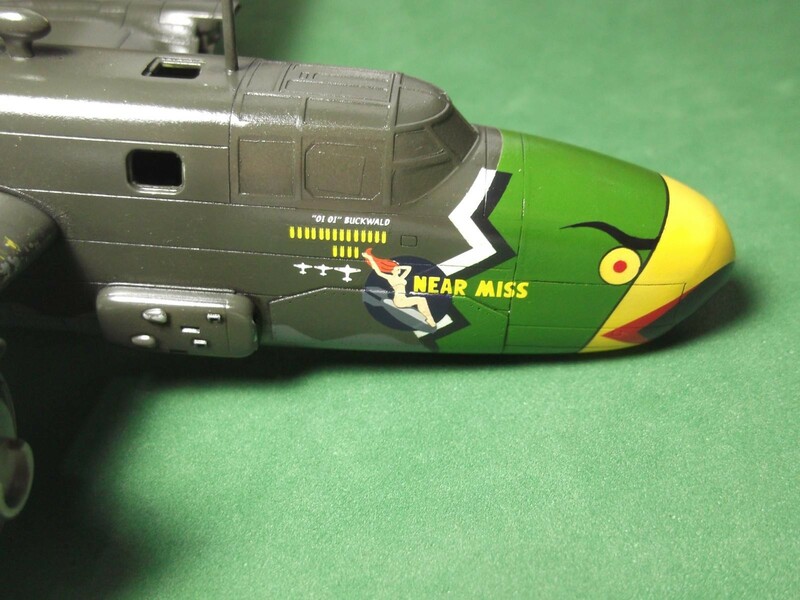 The Nose art is just stunning, but the details all round are second to none. Just excellent! Looks good Ruben, nicely detailed, well done. Thank you for droping a line in here. What a build. 72nd scale? Really? This is flawless work – really inspiring and in this scale especially so. Fantastic work. 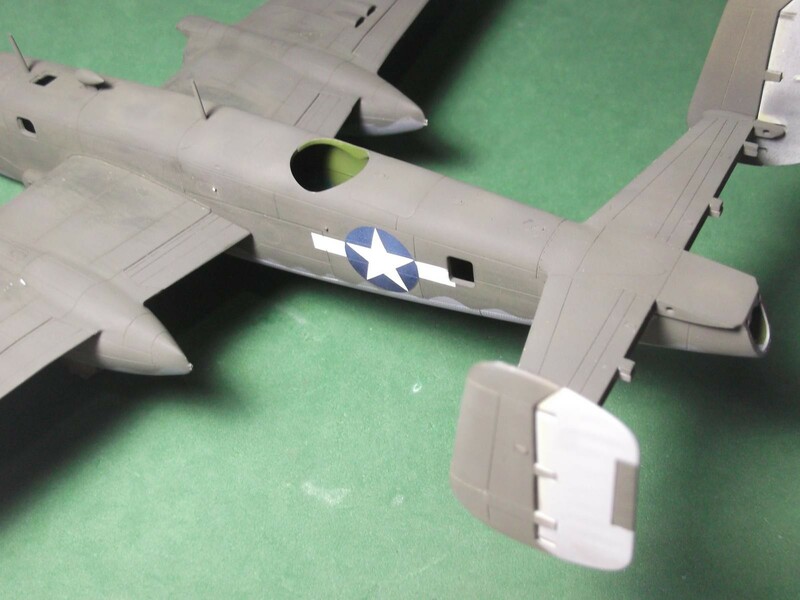 I have a couple of the Airfix B-25’s that are just begging to be built. I think just moved the kits forward in the waiting line. Your work is awesome. Great job. Thank you, I´d like to do another one if they release a G version, if not I might do a kitbashing project. Love it! 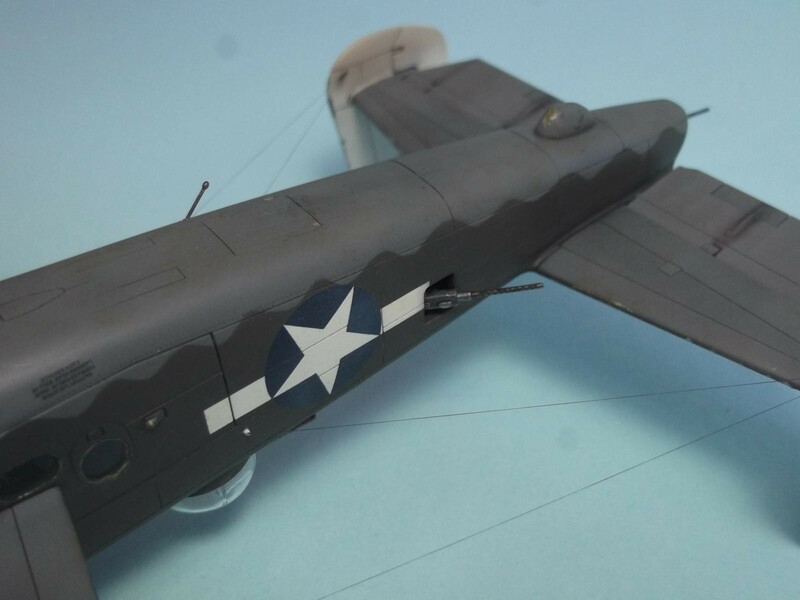 I’m working on a 1/72 PJB at the moment, and will take a few hints from your project to make mine better than it is OOB. 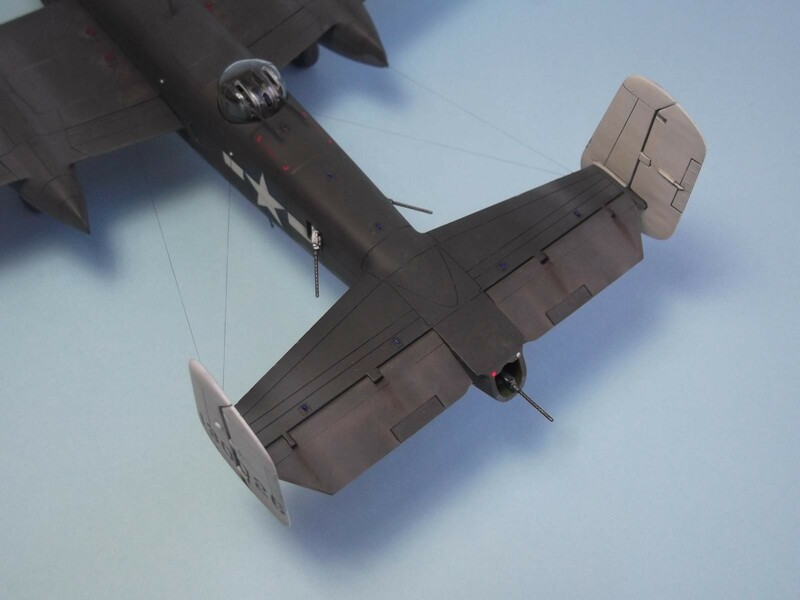 Great work – and I love that scheme – the white tails really set it off. 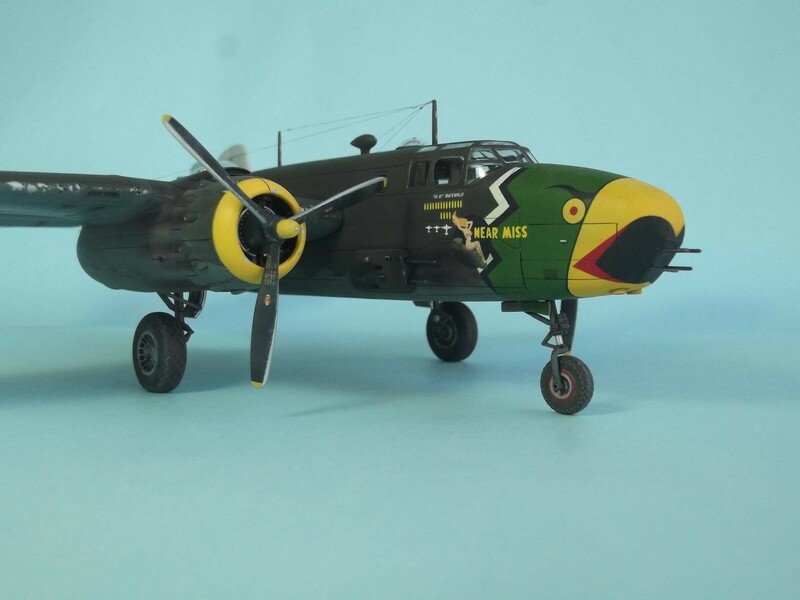 Thank you, I´d been wanting to have a “Falcon” in my collection for some time but the others C/D kits didn´t appeal to me. 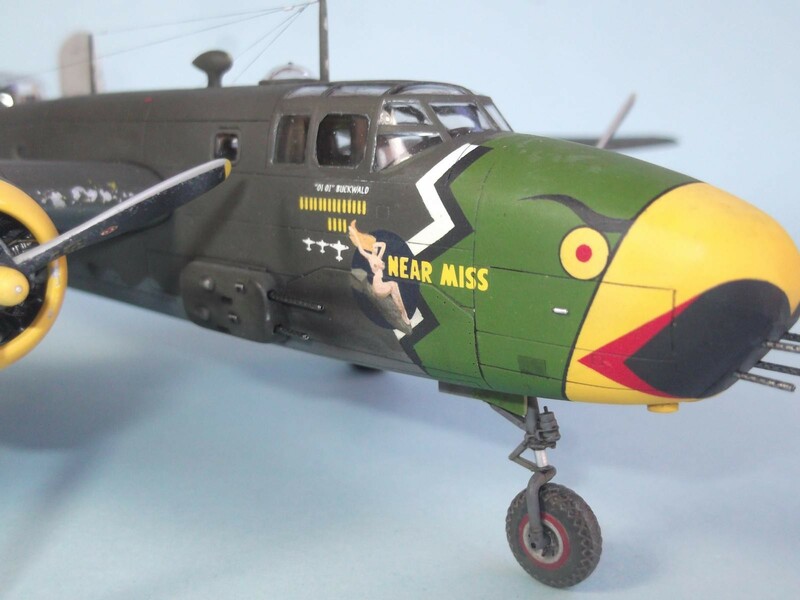 Fantastic work and excellent paint job. Love this, just love it ! As I do, thank you. 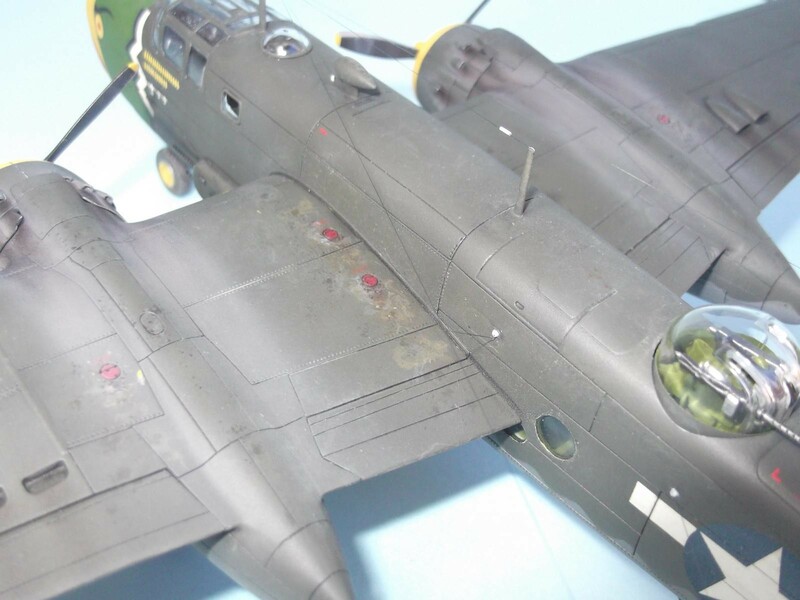 A Goldilocks build that makes the Airfix B-25 stand proud. Some very strong work on the plastic too. 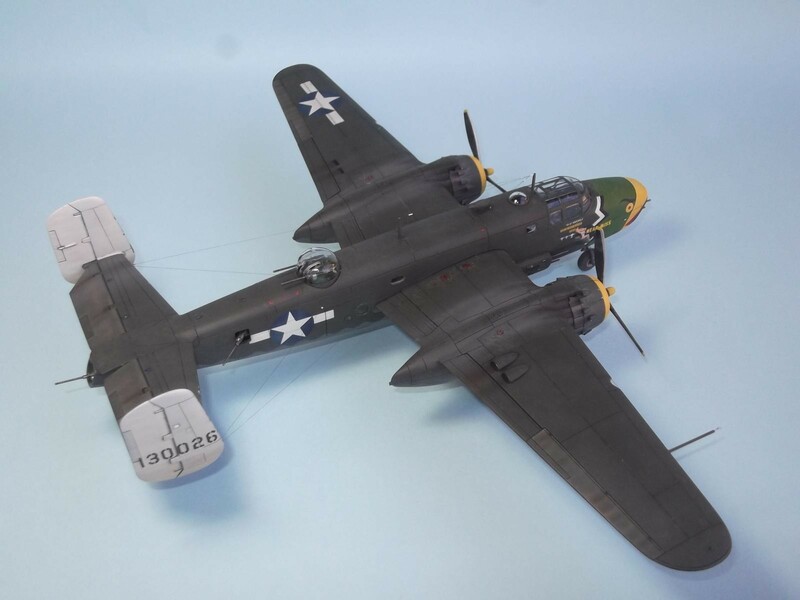 I am a tad prejudice when it comes to B-25’s but, this build is a strong candidate for “Model of the Month” hands down. I bought two of these kits with my eyes closed…and know I feel much better having bought them. Thank you for the support but why the prejudice against the good old Mitchell? Ruben, Fantastic !, (I think that pretty much sums it up), all I can add is thanks for sharing this. Well done!